Healthy and shiny hairs are one of the most attractive features. There is nothing that makes you feel special when you have healthy hairs. Some people have natural healthy hair on the other hand, there is majority of the people who want to have healthy hairs and they need extra effort to get succeed in their mission. They try different expensive solutions to get healthy hair but always failed. 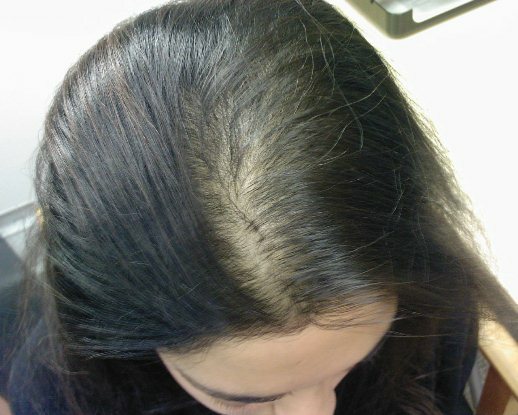 The hair loss problem is spread among many poor people and there are some usual factors behind hair loss like environmental effects, aging, stress condition, excessive smoking, nutritional deficiencies, hormonal imbalance, genetic factors, scalp infections, use of harmful chemical hair products, medical conditions are also influenced upon hair loss such as thyroid disorder, autoimmune diseases, polycystic ovary syndrome (PCOS), iron-deficiency anemia and chronic illnesses. The fact about hair is that the 100,000 strands of hair on your scalp are present and commonly from the research, it has been estimated that only 50 to 100 strands of lose per day. If you start losing your hair more than normal so it is a time to worry about. You should take sudden action to sort out this problem. Otherwise it will be a problem of baldness or bald spots which is a very bad and unbearable period of time. 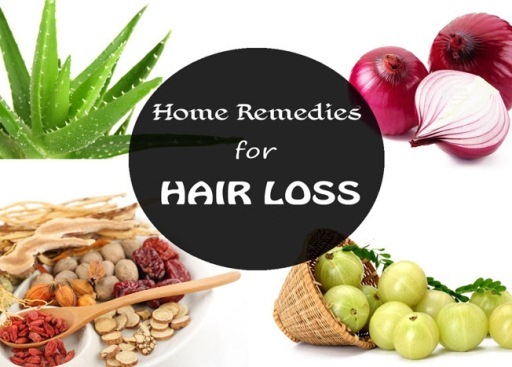 If we take a look at our surrounding then we will come to know that there is a variety of natural ingredients due to which we can make various home remedies for hair loss. Here we go. The first thing which should be done on regular basis is the scalp massage to reduce hair loss with proper and real hair oil. Oil massage will help increasing the flow of blood to hair follicles and your hair will start to grow further more. The strength of your hair roots will become strong while promoting relaxation and reducing stress. The suggested hair oils are coconut or almond oil. They are best for reducing hair loss. Other oils like castor, amla and olive are also available and useful for that. Massage your scalp with any of the above suggested oil with the help of fingertips. Indian gooseberry helps in the faster hair growth and it is also available as amla in the markets. Vitamin C is present in Indian gooseberry which also fulfills the deficiency of protein in your hair. Indian gooseberry has amazing properties that will show you an immediate result, like anti-inflammatory, antioxidant, antibacterial and the exfoliating properties. Squeeze the pulp of Indian gooseberry or amla and mix with one tbsp of lemon juice. Massage your scalp with this mixture, Cover properly your hair with a shower cap. Leave it all the night and then shampoo your hair in the morning. Fenugreek is a common ingredient that is used in food and everyone is known by that. It is also called as “Methi”. Fenugreek contains the highly effective properties in treating hair loss naturally. The seeds of fenugreek have hormone antecedents that help in enhancing and promoting the hair follicles. It also contains proteins and nicotinic acid that help in stimulating the faster hair growth. Take a cup of fenugreek seeds and soak it overnight in water. Grind them to make a thick paste in the morning. Apply this paste to your hair and scalp then cover with a shower cap. Leave it for about half an hour then wash off your hair with a good shampoo. Do this remedy every morning for a month. The sulfur content present in onion helps in reducing hair loss and improves the blood circulation to the hair follicles as well. Onion is also known as antibiotic for all the diseases of the body. Its antibacterial properties kill germs and parasites that present on the scalp and spread infections that cause hair loss. Squeeze the onion juice by grating it and then strain thoroughly. Directly apply this juice on the scalp. Leave it for approximately 30 minutes and then rinse it out. At last, shampoo your hair. Mix three tbsp of onion juice with two tbsp of aloe vera gel. Olive oil is optional to add in it too. Apply this mixture onto your scalp and leave it for 30 minutes before shampooing your hair. Repeat any of these remedies 2 or 3 times in week for several weeks. Aloe vera has special enzymes that directly help in promoting hair growth. The alkalizing properties of aloe vera bring the scalp to its normal pH level that is more desirable. Daily use of aloe vera gel will reduce itchiness, inflammation and redness of your scalp, makes the strength of your hair more lustrous and eliminates dandruff from your hair. You can choose aloe vera gel or aloe vera juice to directly apply to your scalp. Leave it for few hours and then wash it off with lukewarm water. Repeat this remedy for four times a week. Licorice root is an herb that is also used for the treatment of hair loss and further damage of your hair. The spatiality of licorice root is that it contains mollifying properties that open the pores, soothe the scalp and help in getting rid of irritations. Grind the licorice root and add 1 tbsp of it to one cup of milk with a quarter tsp of saffron. Mix them well together. Apply this paste on bald patches while sleeping time and leave it overnight. Do this remedy once or twice a week. Chinese hibiscus is a flower that contains certain natural and effective properties for treating hair loss. Also, the extract of this flower also used to cure dandruff, prevent split ends, thicken hair and prevent premature graying of hair. Take 10 Chinese hibiscus flowers to two cups of coconut oil. Heat is until it becomes burnt. Strain it to collect the oil. Apply this oil on your hair before going to bed. Rinse the oil with water in the morning. Repeat the remedy few times a week. Beetroot is not delicious enough to eat but it is also useful to make home remedy for treating hair loss and make them healthier. The juice of beetroot contains carbohydrates, proteins, potassium, phosphorus, calcium and vitamins B and C. And of course, all these healthy nutrients are essential for healthy hair growth. Make a habit to include fresh beetroot in your diet. In addition to that, other nutrients can also be suggested like spinach juice, alfalfa juice, lettuce juice, or carrot juice will help in keeping your hair healthy and strength full. The remedy can be made like this, grind few beetroot leaves and then boil them in water along with henna and then it will become like a paste. Apply this paste on your scalp and leave it on for 20 minutes then rinse it off. Repeat the remedy several times a week. Flaxseeds are rich in omega-3 fatty acids that help in preventing hair loss and encourage hair growth. For the management of hair loss, consume one tbsp of freshly ground flaxseeds with a glass of water regularly in the morning. You can also add flaxseeds in your daily food like in salads, soups, smoothies, and other dishes. The flaxseeds oil is easily available in the stores so you can directly apply flaxseeds oil into your scalp and hair. It will strengthen your hair and make them healthy as well. Coconut milk has highly contents of protein in it and essential fats that will help your hair preventing from hair loss. It will provide you the quicker results. Making your own coconut milk will prove to be best. Grate coconut to a pan of water and make your own coconut milk at low flame of heat. Let is simmer for five minutes then strain it out. Apply this milk on your hair and scalp when it cools down. Leave it on for 20 minutes and then shampoo your hair. These all remedies help to stop your hair fall problem, but if have less hair on your head and you want to grow your hair again then you need to see our 2 methods (herbal and natural) for Regrow hair. Excessive hair fall is really disturbing and I also had same problem but I am lucky enough to have a friend who suggested me to buy and use dermmatch. It is really working well for me. 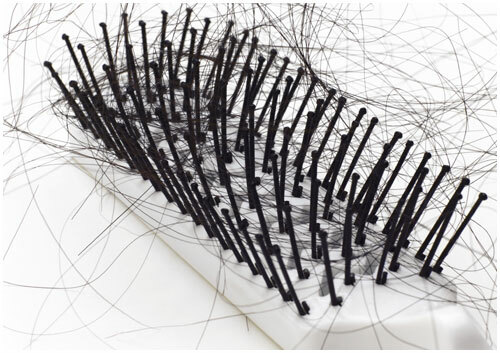 Today Hair loss is one of the most common problems faced by millions of people all over the world. As we see that a large number of peoples has the problem with their hairs problems like whiteness, blandness and weak hairs. So,herbal treatment for hair loss bring good medicine for you.